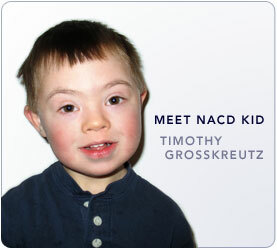 The purpose of this website is to provide new and comprehensive information about issues that impact on children and adults with Down Syndrome. 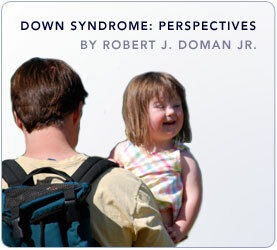 It is a unique site in that through it we seek to change public opinion as well as the opinions of parents and professionals about the potential of individuals with Down Syndrome. Although some of the issues raised on this site should be common knowledge, they are not. 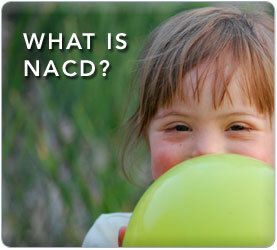 Are individuals with Down Syndrome receiving optimum educational opportunities? Are health issues standing in the way of progress in learning and in speech development? Is it possible that many individuals with Down Syndrome are capable of achieving much more than was previously believed? This site, which will be constantly updated, seeks to present research and descriptive studies that will help to show how individuals with Down Syndrome can move forward. We urge you to explore the entire site for what may not seem to be an issue relevant to your area of interest may, in fact, be closely related. Does the presence of ear fluid impact on learning? Yes. Behavior? Yes. Speech? Yes. Does a low pulse or poor oxygen saturation levels impact on behavior? Yes. Attention? Yes. Learning? Yes. Does diet impact on attention? Yes. Learning? Yes. Please read the whole site. There is a lot to learn! Check back with us often as new information will be added frequently! Copyright 1986–2017 The National Association for Child Development. All rights reserved.